Connecting your branch offices to applications hosted on Microsoft Azure should not be complicated. What if there was an easy way to connect directly to and between all your Azure resources – without MPLS, complicated and expensive appliances, or having to set up peering? With a software-defined, global private network, you can connect directly to your VNets on Azure – with or without ExpressRoute. You can enable your workforce with secure access to applications in as fast as 30 milliseconds – from any location in the world. No matter your method of connectivity, Aryaka’s SmartCONNECT SD-WAN as a Service can provide up to 8x faster performance from anywhere in the world. In addition, Aryaka provides multi-layered security, including virtual firewall capabilities within Azure from partner Palo Alto Networks. 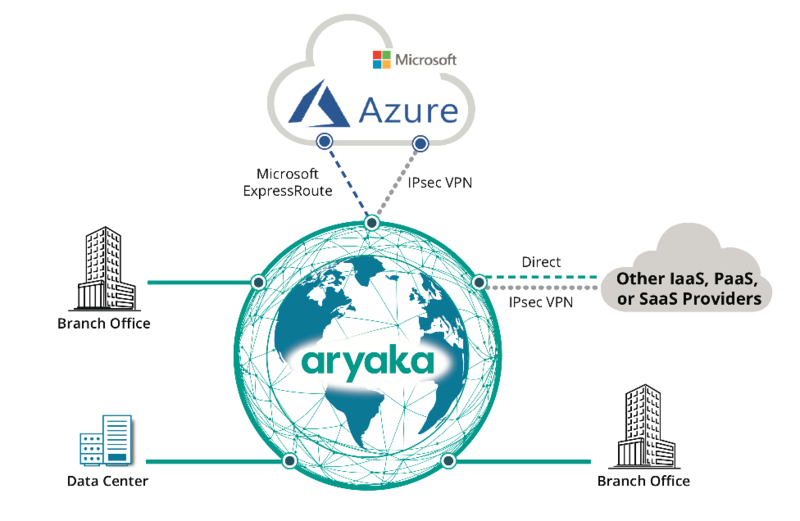 Only Aryaka makes connecting your multiple clouds this easy.